Fiber optic transmission medium is a good material to protect data transmission from EMI/RFI interference. It has been used in harsh environments extensively. CAN bus is famous in industrial applications. 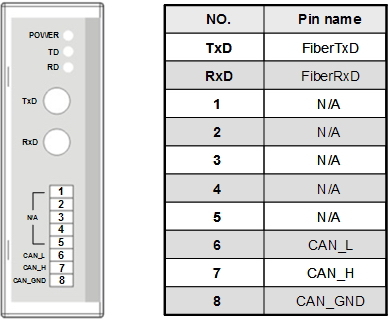 In order to solve the problem between using different transmission mediums, I-2532 is specially designed for converting the electrical CAN bus signal to fiber optic cables. The fiber length between two I-2532s can be up to 1.4km (4593ft). 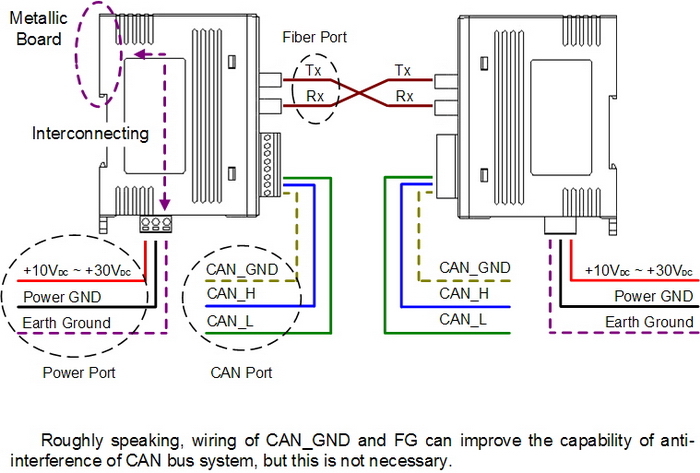 It is mainly decided by the cable attenuation of fiber and the CAN bus baud. I-2532 is the economical solution for applications which require protecting the data transmission from electrical exposure, surges, lightning or chemical corrosion.